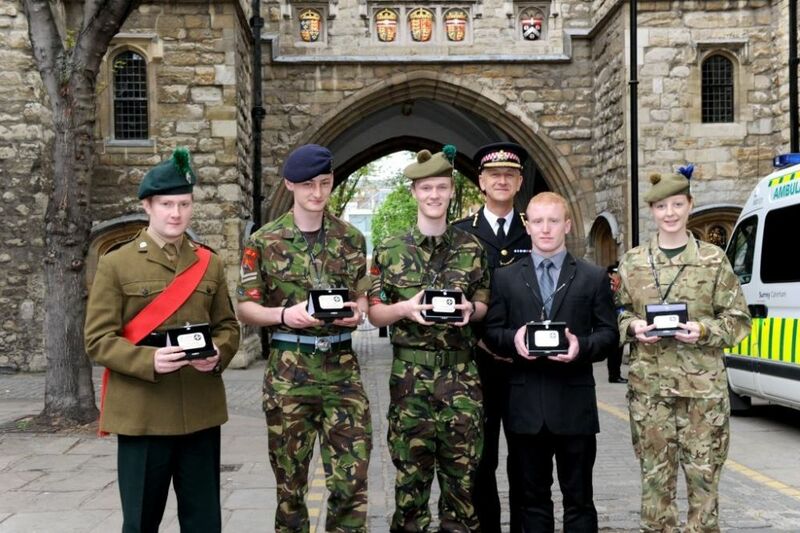 Six Army Cadets have received prestigious Young First Aider of the Year medals from St John Ambulance. 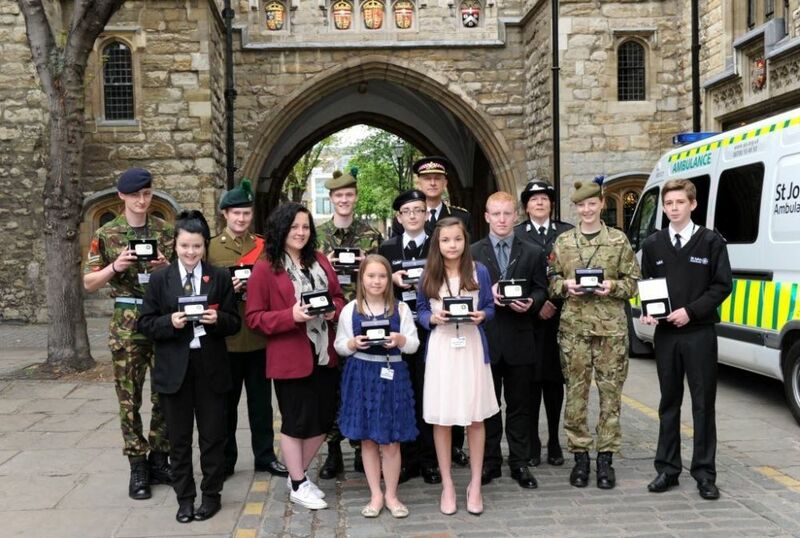 The medals are awarded annually to about a dozen young people from across the United Kingdom. 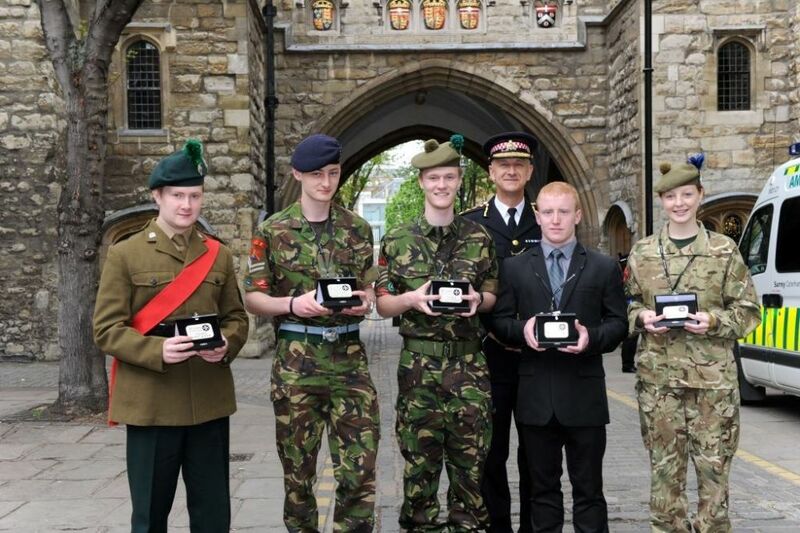 The medals were presented by Mr Adrian Leppard, Commissioner of the City of London Police at an awards ceremony held at the ancient London home of the Order of St John. 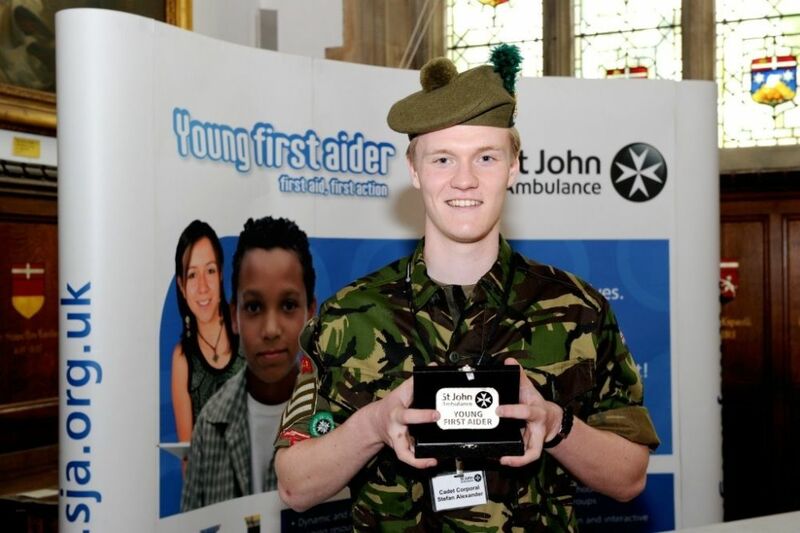 The charity’s annual Young First Aider awards celebrate the actions of young people who have put their first aid skills into practice in serious situations. 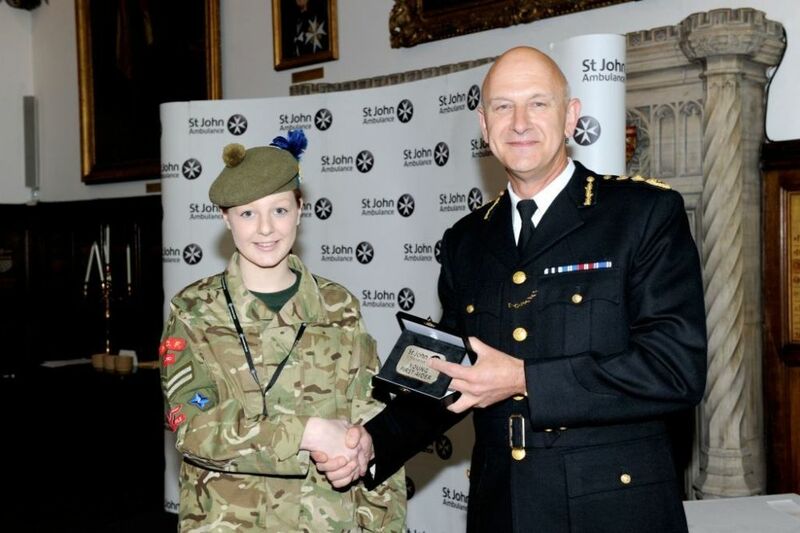 This year’s winners include a cadet who managed a potentially serious back injury; resuscitation given to a man who collapsed in the street; three other examples of resuscitation; and a cadet who managed a seriously-injured casualty in the road. 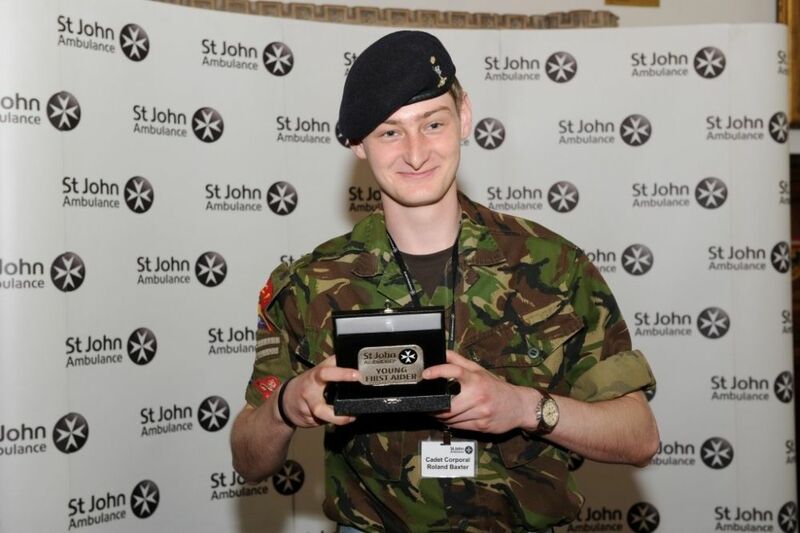 "We are delighted that St John Ambulance has honoured army cadets with these awards. 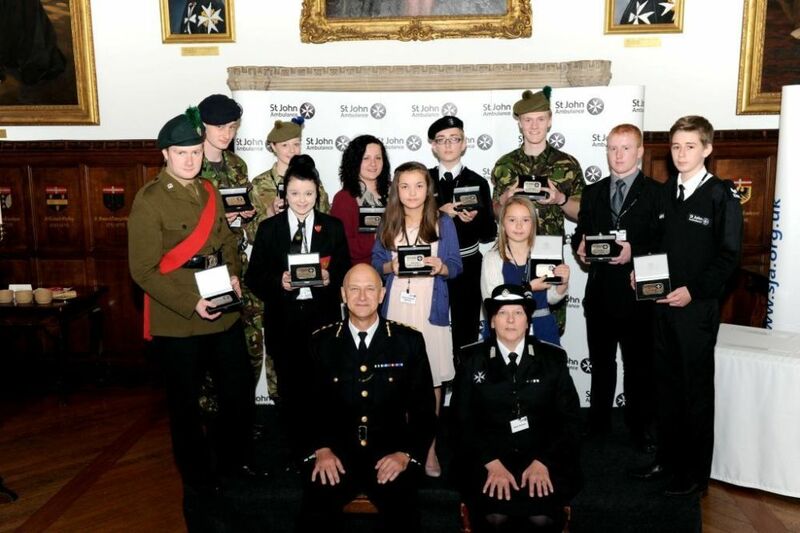 We think it is important to give praise to cadets who demonstrate their skills in such traumatic circumstances". Stefan was watching a junior boy’s football match taking place at Stenhousemuir Football Club grounds when he saw a young boy playing in goal diving to save a shot. As he dived backwards he hit his back on the wheels of the goal. He realised the boy was in a lot of pain and distress which was then increased by the adults with him who attempted to move him. The pain was in his lower back and he couldn’t move his feet. Stefan stopped them from attempting to stand him up, reassured the boy, assessed the injury, kept him still and made him as comfortable as possible keeping him warm by covering him in jackets. Stefan called for the first aider in attendance at the event. He then called for an ambulance and reassured both the boy and his father who had now arrived at the scene. Stefan then assisted the paramedic team to strap the boy to a spinal board and put him into the ambulance. Late one night Roland and his mother were alerted to someone shouting for help in the street outside. Roland went out and found a neighbour calling for help as her husband had collapsed at home. On entering the house Roland found the man not breathing with a very weak pulse and he looked like he could be suffering a stroke. He asked his mother to call an ambulance while he proceeded to give CPR which he continued for 6 or 7 minutes until the paramedics arrived and took over. Roland was then asked to collect information from the man’s wife regarding his medical history, he also took time to calm and reassure the man’s wife and assisted in helping her phone friends and relatives. Sadly the man died the following week, but Roland’s actions enabled the family to have some time with him before he passed away. While working at a local shop situated within a petrol station, Stephen was alerted to a man who had collapsed on the forecourt sustaining facial injuries. He asked his manager to call for an ambulance while he proceeded to carry out a primary survey on the casualty. He found that the man had a suspected fractured skull and had an open airway but was not breathing, nor did he have a pulse. The petrol station itself was very busy at this time and there was serious risk from vehicles attempting to reach either the shop or fuel pumps. Other first aiders arrived on the scene from the general public and between Stephen and them they administered CPR for about 5 minutes. On arrival of the paramedics, Stephen removed himself from the scene while they took over and they succeeded in getting the casualty breathing again. Stephen kept a cool head during the situation taking the lead until help arrived. He later learnt that the paramedics had to administer further CPR on route to hospital, sadly the man died 3 days later. Andrew was on his way home from a friend’s house one evening when he came across a man on the floor holding his chest and under the influence of alcohol. Bystanders who didn’t know what to do had phoned for an ambulance, so Andrew placed the man in the correct position as he suspected the man was having a heart attack. After 5 minutes the man stopped breathing, and Andrew instructed the bystander to ring the emergency services again and proceeded to commence CPR. After two chest inflations the man started to cough and splutter and the ambulance arrived shortly afterwards. 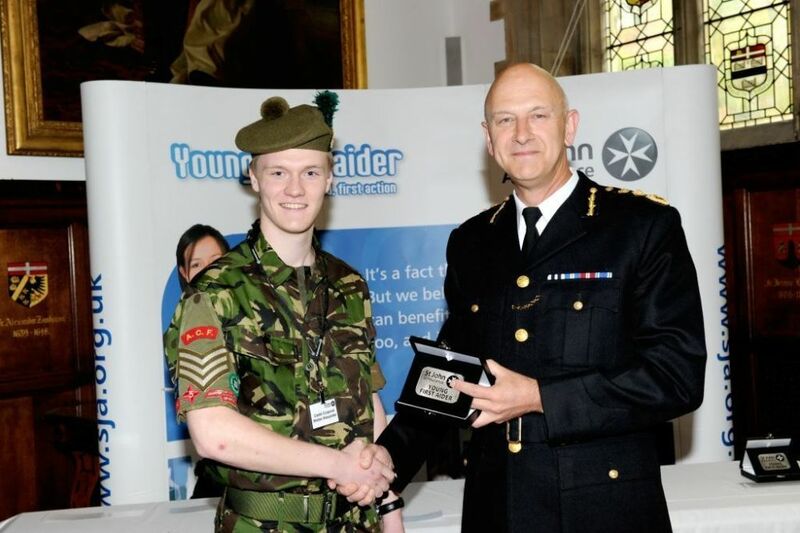 One day Ross’s father suddenly collapsed, and his mother rang for the emergency services. 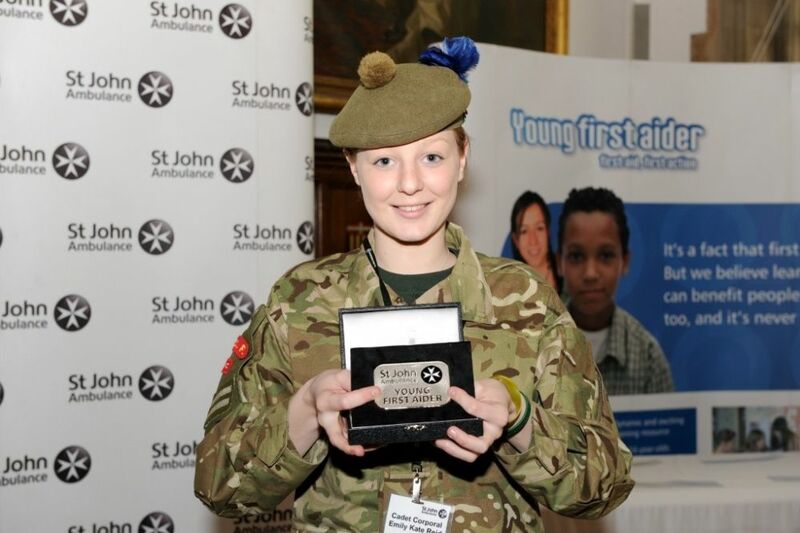 She then relayed instructions from the emergency services for Ross to put his Father on the floor and administer CPR. 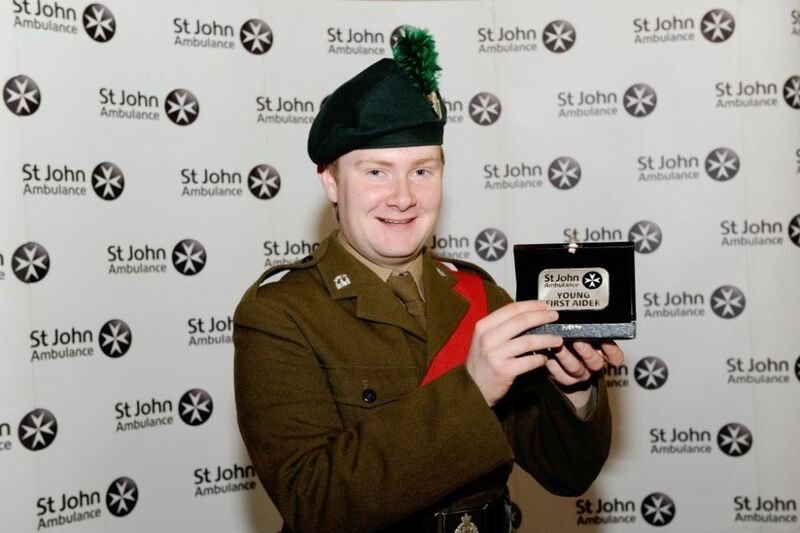 Ross kept calm throughout and kept administering CPR until the Paramedics arrived. On their arrival they saw that Ross was doing everything right and asked him to continue. 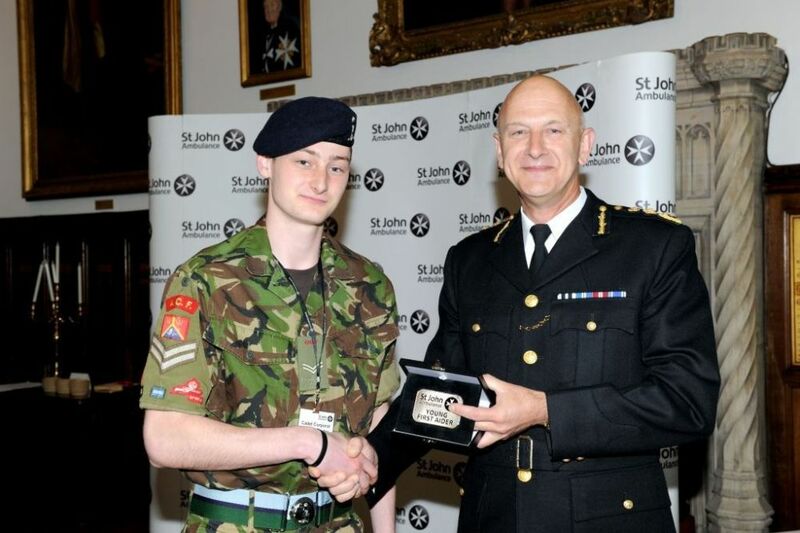 Ross’s skilful CPR was sufficient to prevent his father’s condition from deteriorating until the Paramedics were ready to take over. The Paramedics said that Ross was really calm, good at following instructions and working under pressure even though this was his father. Sadly Ross’s father later died but the family were able to be with him at the hospital.